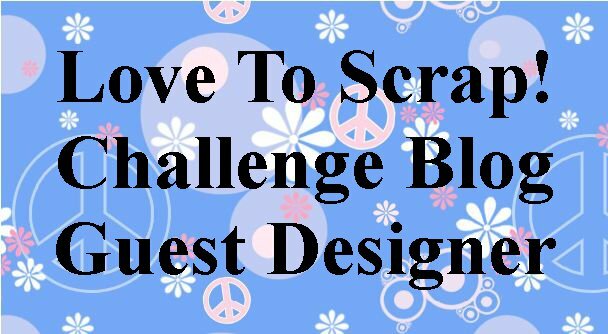 I embossed the background, added for lace and a border with die. 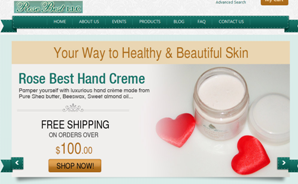 The heart has stickles. 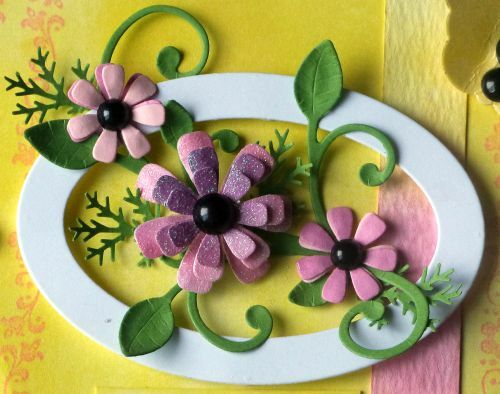 I made this for a baby shower using MFT sketch 169. 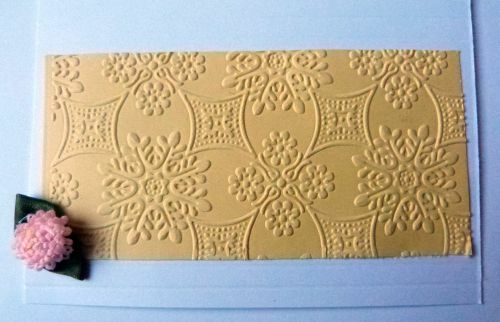 I love the embossed look on dark paper, it is nightshift blue cardstock with white embossed pretty posies stamp and verve stamp for the leaves. 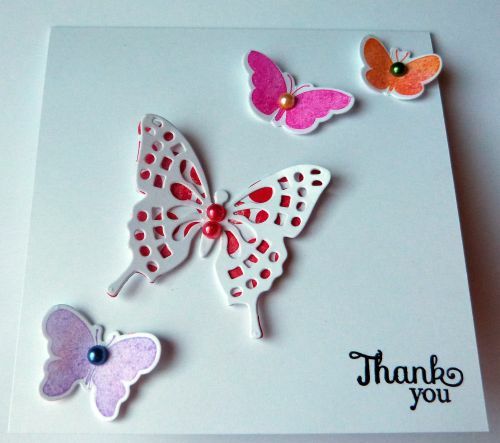 I stamped dots with blu raspberry ink. 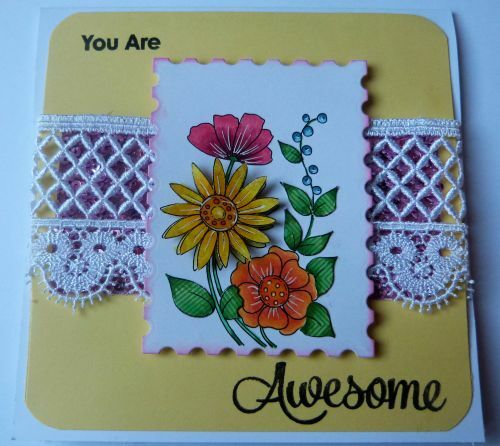 I colored the flowers with razzle berry ink and distress inks.I added lace, ribbon, sequins and die from notched tag. 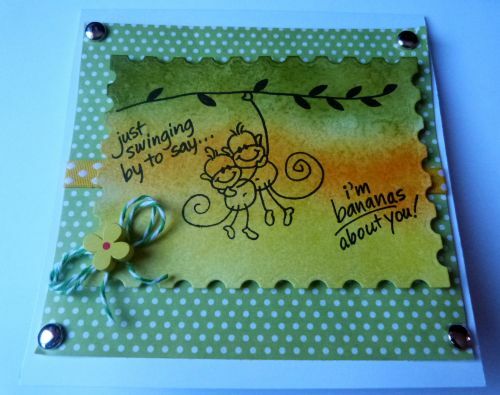 Sentiment and die cut is from Polka greetings. a snap shot with the envelope. 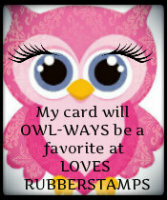 I love my envelope maker. 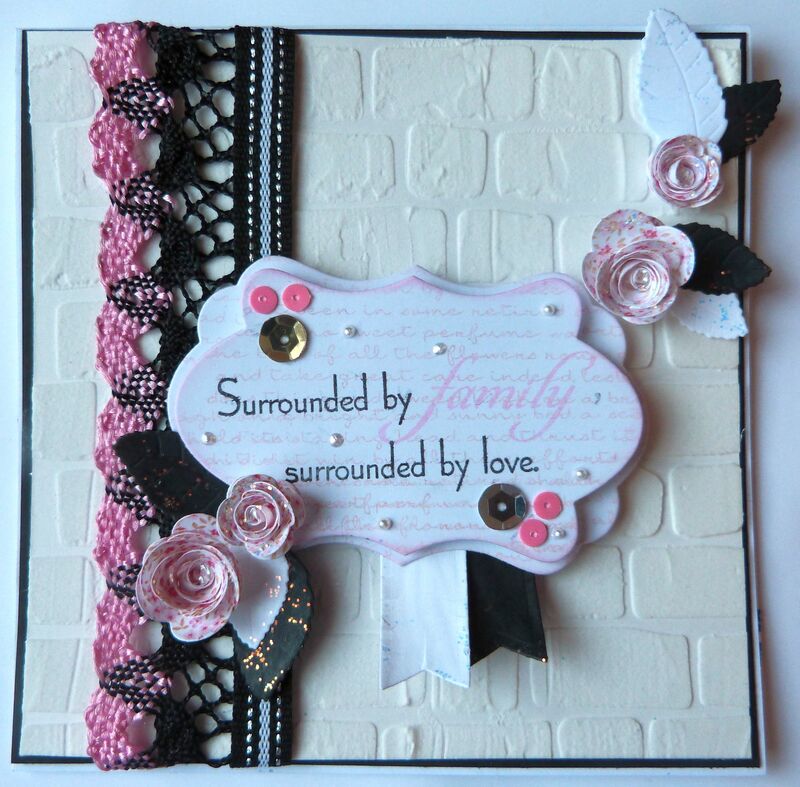 I used MOJO monday sketch 327– first for this year(I put the roses also on top instead of all in one corner), and MFT color palette challenge– pink, white and black. 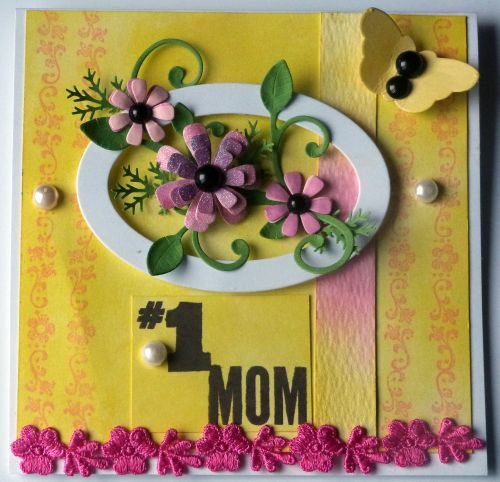 This was a great color combo, it was challenging for me to add black as a color, usually I use it only to mat a cardstock, so that was difinately different for me. 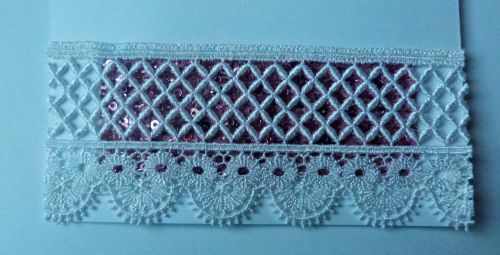 I found this pretty lace that had the colors I was using, and I added a little ribbon to it for a finished look. 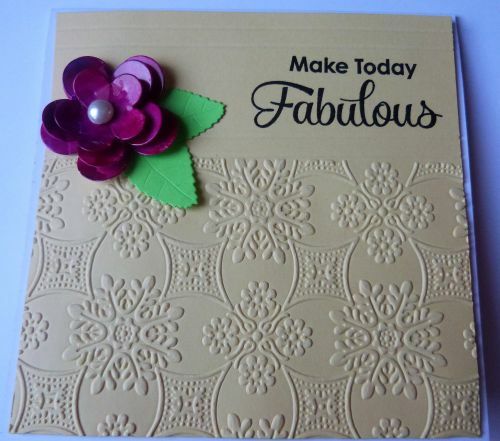 My background is done with molding paste and the MFT brick wall stencil. 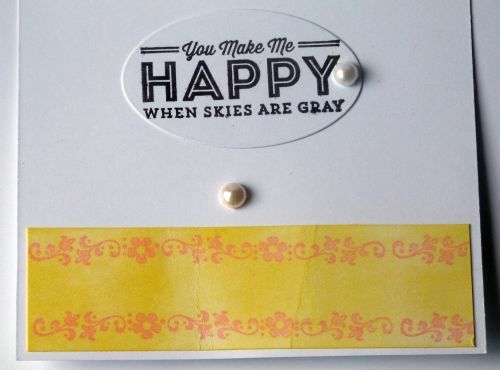 The focal sentiment is cut with MFT well worn greetings and the I added the text from LJD poppy stamps in MFT pink lemonade, the sentiment from Clearly sentimental about family in MFT black Licorice ink and MFT cotton candy. 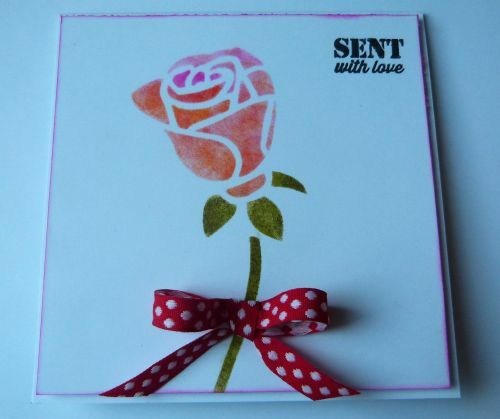 I added some MFT mini roses, MFT royal leaves, stickles, sequins and liquid pearl to finish off the card. Really Reasonable ribbon had a challenge for pink and ribbon and I think this fits it well. 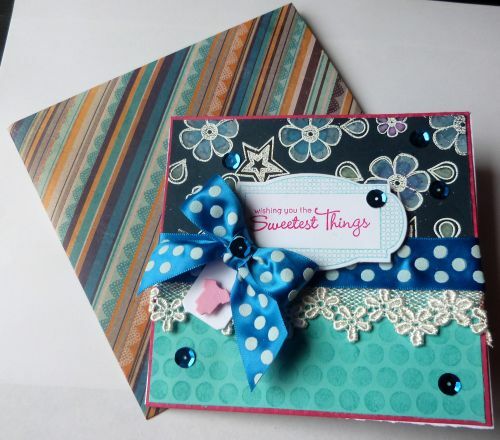 I am throughly influenced by Joanne who adds these awesome MFT fishtail flag stax trio on her cards and so I added two MFT fishtail flag stax under the sentiment instead of a bracket, I think it gives it a nice flair. 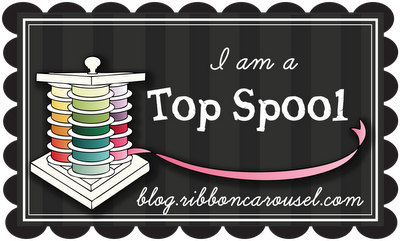 Also Ribbon Carousel-RCC89 had a challenge for extra love called birthdays, love and chicken soup- that is so awesome- I love chicken soup for the soul books. I made this using sketch 152 from MFT. 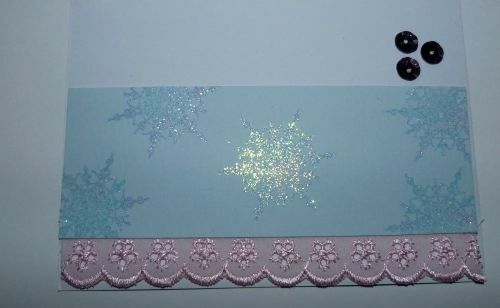 I used MFT sophisticated snowflakes and embossed them with Ranger holographic embossing powder, it has a cool shine, it is hard to capture on the picture. 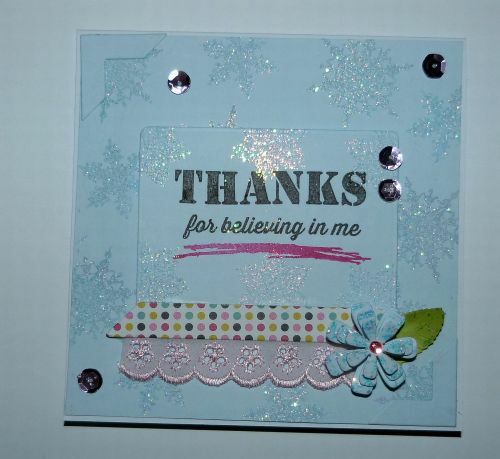 I used the sentiment from MFT sending thanks and added an abstract art( I love to add it in places) and embossed more snowflakes on the diecut (blueprint 5). The flower trio and the rose leaf has stickles on it. 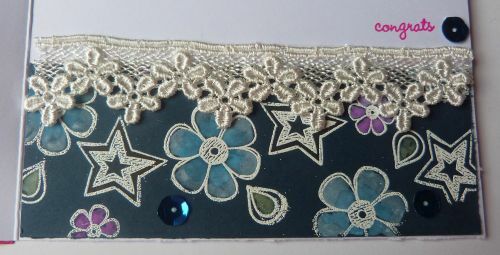 I added a strip from the chalkboard frame, photo corners, a lace and sequins finishes the card. 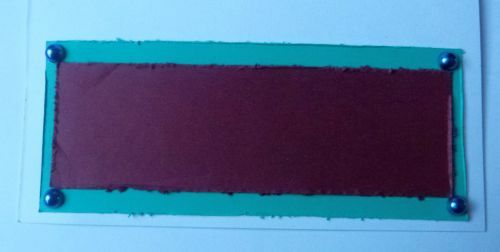 I used MFT black licorice and razzle berry ink. 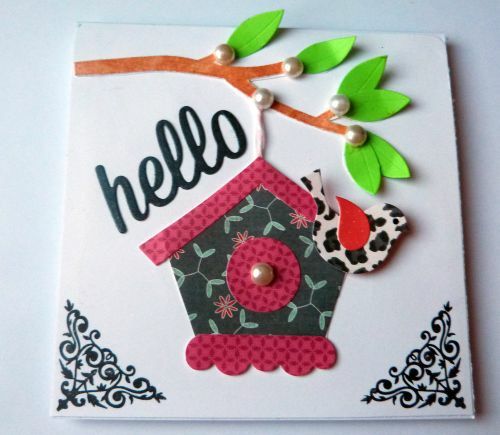 I am adding it to Simon Says Stamp- anything goes; Ribbon Carousel– Anything goes; MFT sketch 152; Pile it on – P is for(pink, paper, polka dots)Cute card thursday– anything goes. 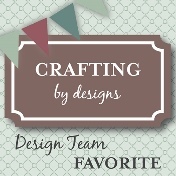 I made this with MFT sketch 151– I loved how this turned out. 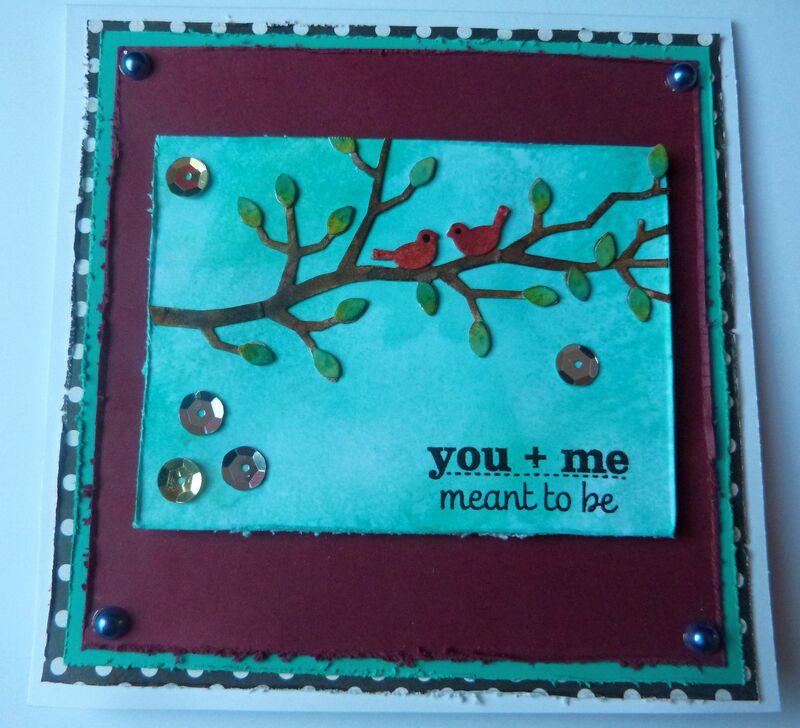 I used MFT inks, dies and stamps. 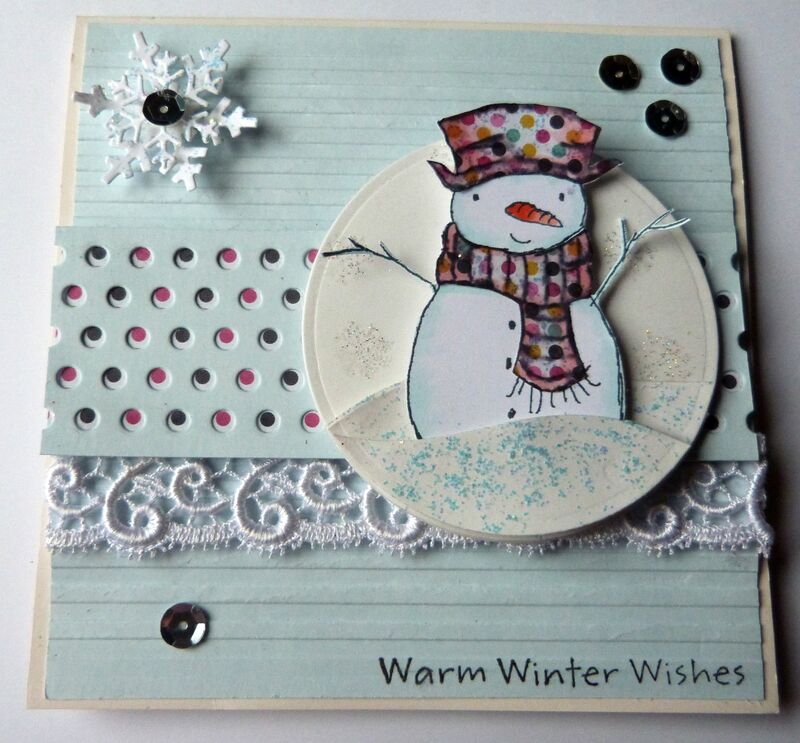 I used MFT snowman that I stamped with Momento ink and then colored with copics. Once done I cut it out. 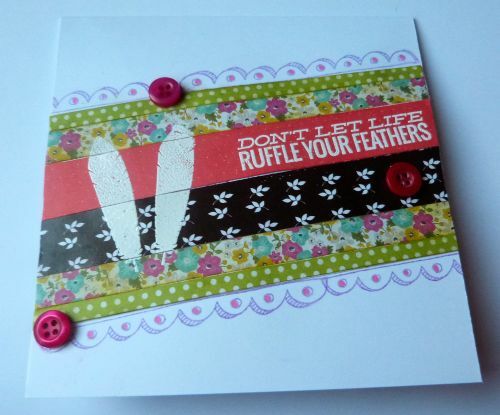 I paper pieced it and stamped those with MFT black licorice ink and colored the edges with R20. 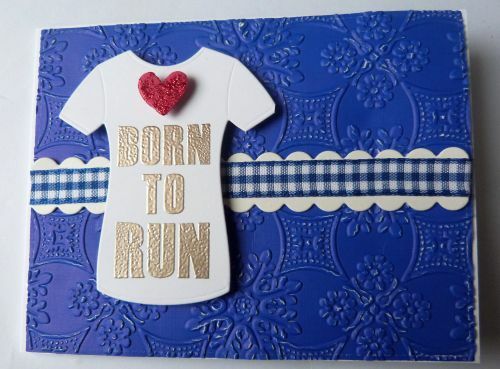 FOr the background I embossed it with Darice embossing folder stripes– love the look. 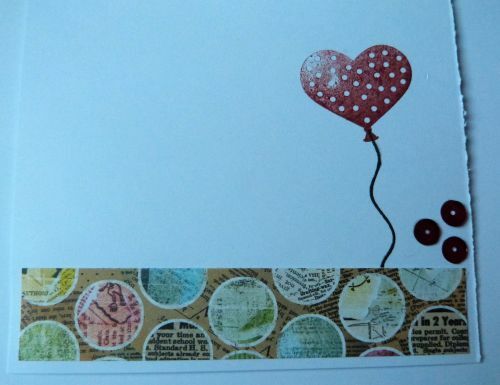 I then cut a strip of the same color with peek a boo dots and added the same paper that I paper pieced to the behind, The way it fell on the dots was just perfect and higlighted only two colors. I added some snowflakes with Versamark on the circle cut with circle stax– love them. embossed it with silver. I cut two snow drifts for the circle and added stickles to them. 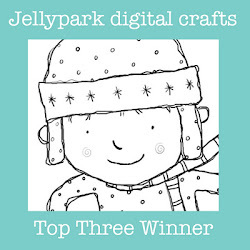 I cut the snowflakes and added stickles. 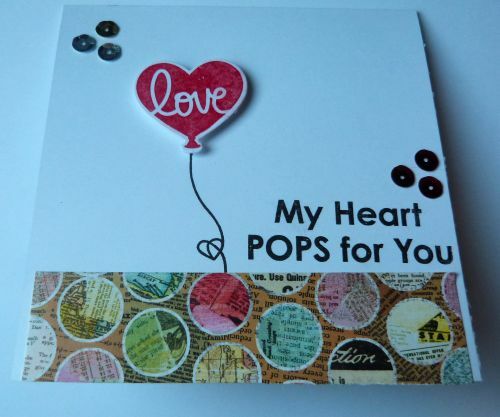 the paper pieced pieces had stickles, it was all adherred together once dried. 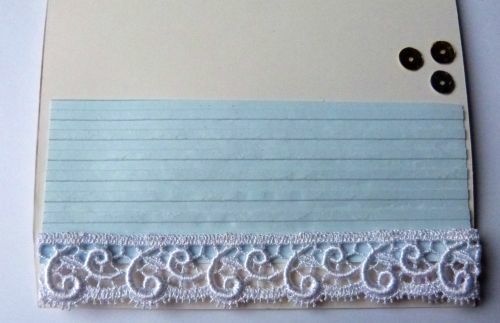 I added a lace behind the strip. 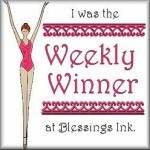 I added some sequins and a sentiment. 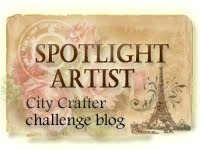 I am adding this to MFT sketch 151;Fairytale- snowflakes inspiration; 7 kids college fund- anything goes.